Seth Kaplan officially broke the news on WBUR this week. Andrew Levy, the former President of Allegiant, has decided to go public with his plans to start a new ultra-low-cost-carrier (ULCC). The question is… is he too late? Or is there actually room for his efforts? Ever since Andrew left Allegiant as President in 2014, there have been rumors about what exactly he was working on. Whatever it was took a back seat when he opted to become CFO of United in August of 2016. Almost immediately after that announcement, Scott Kirby was brought on as President and Andrew’s fortunes changed. Andrew managed to last for almost two years before he abruptly left. Now he’s back to his entrepreneurial ways. Though we don’t know a ton, the details have started to come out about his plan for a new ULCC. Here’s what we know from both the WBUR piece and one from Bloomberg. XTRA Airways is a long-time charter airline that up until last year had eight airplanes doing some high-profile work, including flying a couple of aircraft for Hillary Clinton’s campaign in 2016. The company’s owners decided they wanted out., so they sold off 7 airplanes and flipped what remained over to Andrew in August of last year. This means Andrew has a platform to easily launch service. The 737-400 will clearly go away when the new airline launches. It’s just squatting on the certificate right now, and that’s well worth it. There is no need to go through the painful and lengthy certification process. They can stand this thing up tomorrow if they have the money. But what exactly will the airline be? I think it’s safe to assume that the charter business that has powered XTRA for years won’t be a part of this new airline. The name will undoubtedly change as well. Just think of XTRA as a paper certificate. Everything else is going to have to change. a better product and experience but still offer really low prices. Hmm, ok. Costs will be key here, as they always are for a ULCC. What this airline will do differently than others isn’t yet clear except that it will focus on secondary airports to keep costs down. Right now the airline is trying to raise $100 million and expects to have 5 airplanes flying by the end of the year. It sounds like the aircraft decision hasn’t been made, but Bloomberg says the airline is leaning toward a 737-800 packed with 189 seats. That matches what Ryanair does on its 737-800s today, but it’s a far cry from Southwest and its roomy 175 seat configuration. They key to this whole thing is understanding what it means to be “real high-quality” and “highly reliable.” A couple years ago, there was a need for a ULCC to follow that model. Spirit ran a terrible operation, as did Allegiant and Frontier. But it’s a different world now with Spirit running one of the best operations in the country from primary airports. Operational reliability is no longer enough to differentiate a ULCC. But as Andrew notes in the Bloomberg article, “you have to do something different.” So if this isn’t about beating Spirit, Frontier, or Allegiant at their own game, then what is it? We’re too early to know just yet. An effort to have a better product and experience very often means sacrificing low costs. If this airline is going to work, that can’t happen. It has to have exceedingly low costs to be successful, so a “better experience” has to be provided in a way that doesn’t hit the cost base. It’s hard to imagine exactly what this airline looks like from the scant information that’s public. People love the idea of a better ULCC, but for most people, that means more legroom and frills. That kind of thing can’t really be in the cards, not if costs matter above all, as I believe they do in ULCC-land. This doesn’t mean it won’t work. Andrew is smart and will certainly assemble a team filled with brains as well. He also knows this business extremely well. He likely has an angle that he thinks will propel the airline to profitability, but in a world where operational reliability is no longer a differentiator, I have to wonder what the angle is. I eagerly await more details. 35 Responses to Is There Room for Andrew Levy’s New Low-Cost Carrier? I too am failing to see the differentiator. Super cheap fares are great but I imagine to beat the likes of Spirit you’re operating at a loss. I could see serving a niche market and slowly building up an operation over years but I gather that the plans are a bit more ambitious than that. Best of luck to them. It’s Spirit, but the ticket prices are lower, because the pilots get minimum wage plus tips…so if you want a smooth ride and a safe landing…pay up! Could there be some sense in focusing on those secondary airports that have lost Spirit/Southwest flights in recent years. I’m thinking Providence/Manchester as Southwest has grown at Boston-Logan. Would have included Oakland but traffic seems to be increasing there and from what I’ve heard it’s brutal to compete with Southwest there. Maybe Islip? I can’t help but think back to Frontier’s ULCC rebranding 5-ish years ago, and Sun Country’s ongoing rebranding. In both cases the branding objective was (paraphrasing a bit) “Spirit, but better.” This smells the same. So far, the “better” part is easier said than done, especially considering that Spirit has gotten “better” by some metrics themselves, as you mention. Levy might be uniquely qualified to actually build a better ULCC, and there is arguably some room for another airline in some markets (MKE, IAH, MCI, STL all come to mind) but I’m growing a little tired of the concept and eventually I think the market will too. The scale of F9 and NK (and the Basic Economy segments that Levy has had a hand in creating) is getting to be a challenge. Plus, Allegiant and Sun Country are sort of picking up a lot of the loose scraps around the edges so there are not a lot of stones left unturned in this market segment. The “better” part sounds good for PR, and the “ULCC” part sounds good for investors, but it’s time for a new concept, isn’t it? Sounded a lot like what Neeleman is wanting to do with his new (working title) Moxy airline, up until the 737-800 bit. Seems like he’ll need to go where the competition isn’t, and then hope it stays that way. This seems to be the wrong time in the business cycle to start a new airline…an economy that is still considerably strong but long in the tooth, where all the other airlines are healthy. Wouldn’t it be better to launch something like this when the competition is on its heels and retrenching? I guess if anyone can make another ULCC work, then it would be Levy. I don’t understand the concept of squatting on a certificate. If you take away (almost) all the people from an airline, and later bring in completely new people, then all the institutional knowledge and memory are effectively lost. How can regulators rely on an old certificate? Shouldn’t these conditions lead to a requirement of recertification? Certificates don’t have a separate existence from an operating airline. Although the short-hand is “selling a certificate” the reality is that it’s selling an operating airline, complete with aircraft, FAR 119 positions (every Part 121 airline has to have five required positions occupied), active management/updating of the operating manuals, minimum periodic operation of the aircraft, etc. It’s not like there’s a piece of paper that you can sell separate and distinct from an airline. That’s not how it works. As an example, when Independence Air collapsed in (checks notes) 2006, in theory the certificate as bought by Northwest as a way of jumpstarting what became regional airline Compass. But in practice the FAA required a de-novo certification, because operations were suspended for too long. So it’s a piece of paper and employees with experience and some level of active operation of aircraft (even if just one in this case) that you need to acquire in order to maintain the certificate? Ron asked the obvious question here. But even if the certificate is coming with some semblance of an airline (is it really – with one aircraft that doesn’t operate very much? ), this feels like a situation where the regulators should perform some process akin to certification, or enhanced oversight. Cranky – could you explain what the purpose of a “painful and lengthy certification process” is (what gets certified about what/who) if as an alternative anyone (?) could just acquire a 2nd hand certificate with a shell of a former airline? Should / could I set up a business that creates subsidiaries for the sole purpose of getting certificates and then resell them (with the subsidiary and maybe some aircraft)? FAR Part 121 certification is an extremely lengthy (read:multiyear) and onerous process. You could, in theory, build a business model around acquiring airline certificates but the fact of the matter is that there aren’t that many out there. You can actually download a list from the FAA’s website and it’s only a few pages long. Most of the carriers on there are airlines you have heard of, a few charters that have both FAR 121 and FAR 135 and then feeder airlines. Oliver – I can’t say I understand all the mechanics of this, but certainly as the conditions to get a new certificate have become more onerous, it makes it much smarter to just buy an existing certificate. California Pacific did that (and failed) and now Levy is doing it as well. You just don’t see many startups trying to go through that awful process. Whether it should be allowed or not as Ron suggests is a whole different — and good — question. There are very few certificates available. And as explained in another comment, a certificate only comes attached with an operating airline. You cannot buy a piece of paper (well, you can, but it’s useless), you buy, instead, an operating airline – it may be operating at low intensity, but it’s still meeting all FAA and DOT requirements. What has changed over the years? I’m guessing the requirements have progressively gotten more and more expensive and difficult to the extent that they are now effectively impossible to get. In the first decade post Deregulation, we saw what? 120 or so new starts complete with certs. In the second, around half that. In the last decade, zero. That I know of anyway. Certification was a lot easier prior to the late 1990s — and certification in other countries is still quite easy – a matter of months. The big change was in the wake of the ValuJet crash of 1996. The FAA tightened up certification dramatically. If you want to do a from-scratch scheduled airline certification, most consultants will tell you that you are looking at about 18 months, but there’s no set time limit, so it could take longer than that. The DOT also has a say, since they award economic authority (the FAA awarding safety/operational authority). Well I knew about that but we still had quite a few new starts post 1996. So that alone doesn’t explain it all. Where the number of startups fell off a cliff was after 9/11 and then basically to zero after 2007. So there has to be more to it than that. And in any event one has to wonder what’s really going on. Are these “tightened” requirements (whatever that means anyway) really there to protect the public? Or the incumbent established airlines. With the ubiquity and almost daily charges of corruption/conflict of interest/bribery being what they are, I think this is a fair game question. Where will he find pilots on a ULCC pay scale? To me, that’s the biggest question. If Great Lakes, et al, had to fold due to lack of pilots and the mainline carriers can’t even get enough pilots, he’s going to have a hell of a time. This feels like “Moxy, but with no premium cabin, with 738s instead of 220s, with less a la carte, with a quicker spin-up period”. Specifically, I’ll bet he’ll try to target the exact same markets Moxy wants to go after, with the benefit of being able to serve them much sooner than Moxy can because the 737-800s are available now and A220s aren’t, unless you’re Delta. One question here is whether first mover advantage vs. Moxy is enough to fill a 737-800 when Moxy only has to fill ~140 seats (maybe less), with both having comparable unit costs. One interesting note is that the 738 strategy isn’t terribly far off from Allegiant’s current setup, in that it’s a last-gen aircraft (ignoring the fact that the current-gen is grounded) and thus can probably be had (leased in this case) for pretty cheap. Compared to whatever a new A220 costs. I doubt that they’d use the G4 strategy of not flying planes very hard, but it’s probably more of an option when you’re not trying to amortize a shiny new 321neo. One thing that could differentiate, and maybe help operationally: put the Sky interior in the 800s, then allow every ticket a choice between a carry-on and a checked bag, for free. Enough people will pick the checked bag to keep the bins reasonable even at 30″ pitch, and folks checking will speed up boarding, allowing for faster turns/better utilization on a big plane. Not that this will happen, but Frontier already charges more for carry-on than checked, and that *would* simplify things. Or they could go with a Southwest-style open seating setup, with an upcharge to board in the first group. If you’re not having extra-legroom rows on the plane, that’s a way to drop turn times and simplify fare structures vs. assigning seats. My two cents says that the industry has reached its evolutionary plateau and that no further changes, additions, or changes in any direction are really feasible. We’ve been through at least three cycles of upstarts, shakeouts, mergers, and the like. We may see a few mergers or a few specialty haulers spring up. But new starts in the traditional sense like Virgin America or Valujet or Reno Air, I don’t see any more of those ever happening again. What we have now is what we will have for all eternity. If anything, the future portends fewer airlines, not more. Sooner or later, the economy is going to take another dive and we can expect yet another round of mergers among the existing ones until it settles down once and for all with 2-4 airlines controlling 100% of the US market. We see this not just with airlines, but throughout the broader economy. Witness the dupoloies of Tagret/WalMart or Lowes/Home Depot. Lots of competition once existed in those sectors. Today, not really. And it’s just not feasible to imagine anyone ever challenging any of those companies. Same with social media like Facebook. Several have come and gone. It seems like FB is ripe for a split and/or some new actor to come along and give them a real run for the money. I don’t see that happening either. I think this X-Tra idea as well as Moxy will just quietly fade away into the night and never see the light of day. Or else come back as something radically different than as initially proposed. I think further consolidation is possible. Looking at you, Hawaiian, Alaska and Jetblue. My typing is terrible today. I miss the edit feature. In the above, I meant that United would be the survivor in a Delta/United matchup. Why would United be the survivor in the Delta/United merger? Just the name, but essentially a larger Delta with a new name? WTH – If there is a Delta / United Tie up the victor will be Delta. Otherwise whats the attraction to the customer, you can pay less but you cant worse service than United. There’s no there there. Now Delta buying American makes much more business sense. If any of the majors merge I’d expect AA and UA, with some operations (Chicago, DFW, DCA) being spun off as part of antitrust measures. …and I typo’d too. Spirit would be the winner in the 3-way tie-up between F9, NK, and G4. Not a chance that there will be a merger between any of the big 4 – AA, DL, UA, WN. What’s far more likely is those 4 airlines will absorb the smaller airlines but I don’t see a scenario ever where the regulators would allow a DL/UA tie up. That would be a behemoth of an airline. And quite frankly, I think we are generations away from WN ever putting the big boy pants on and flying widebodies over the pond. 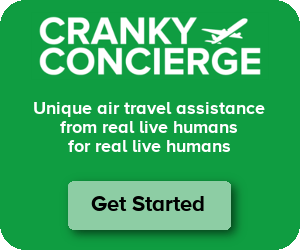 Hmmm, what long dead airline hasn’t had its good name exhumed to be on a startup lately? I think that alcohol can be an economical differentiator for an ULCC. If the airline stocks inexpensive boxed wine (red and white) in the galley, it can offer every 21+ passenger a free drink (probably costing the airline less than 50 cents each). Costing the airline 50 cents for each partaking customer, and also $6.50 or so for every customer who would have been willing to pay. Why do so many people think its easy to run a profitable airline and have super low costs? On the other hand, why do some many consumers think that they must pay the lowest possible price to travel?